Marc-Andre Fleury had 34 saves to pick up his league-leading seventh shutout, and the visiting Vegas Golden Knights won their third consecutive game, a 3-0 decision over the Anaheim Ducks on Friday night. It was also the league-leading 31st victory of the season and the 435th career victory for Fleury, who moved within two wins of Jacques Plante for eighth place on the NHL's all-time wins list. 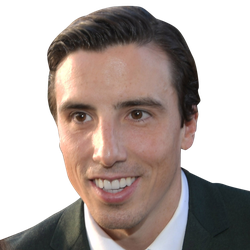 Fleury also broke a tie with Nashville's Pekka Rinne as well as Bernie Parent and Ed Giacomin for 21st place in career shutouts with the 55th of his career. William Karlsson, Alex Tuch and Cody Eakin scored goals for Vegas, which swept all four games with Anaheim this season, outscoring the Ducks 14-3 in the process. 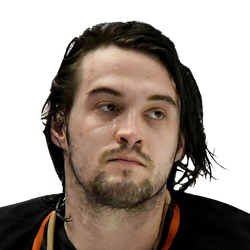 John Gibson, back after missing nine games with an upper-body injury, finished with 31 saves for the Ducks, who have lost five in a row and 13 of their past 16 games. Vegas, playing the back end of a back-to-back that started with a 6-5 shootout victory over Florida on Thursday night in Las Vegas, took a 1-0 lead late in the first period on a power-play goal by Karlsson. It was the 19th goal of the season for Karlsson, who received a crossing pass from Mark Stone near the bottom of the left circle, then fired it past Gibson's blocker side. Tuch made it 2-0 late in the second period with his 17th goal of the season. He took a long stretch pass from Jonathan Marchessault along the right boards and then broke in and beat Gibson with backhand shot through his pads. It was Tuch's first goal since Jan. 21, snapping a 14-game goalless drought. Eakin ended the scoring with an empty-net goal with 21 seconds to go. Stone recorded an assist on Karlsson's first-period goal, his first point in three games with the Golden Knights since being acquired from the Ottawa Senators at the trade deadline on Monday afternoon.